Kalee Brooke Kear and Spec. 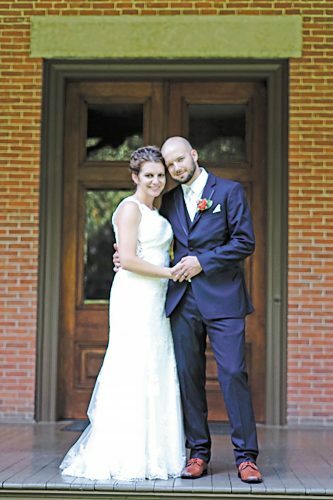 Kaleb Daniel Sherman exchanged wedding vows in a double-ring ceremony at 5:30 p.m. Friday, Aug. 12, 2016, in the outdoor gazebo at All Occasions Catering and Banquet Facility, Waldo. The officiant was Linda Shumaker-Stansberry of Upper Sandusky. A reception followed the ceremony at the banquet facility. The bride is the daughter of Anita Kear and the late Richard Kear of Harpster. The groom is the son of Dan and Judi Sherman of Tiffin. The bride, given in marriage by her mother, wore a floor-length floral lace V-neck ivory dress with an empire waist, open back and a slight lace train, enhanced with a silver broach of pearls and beads. She had a short Russian tulle blusher veil with a flower clip in her hair and carried a bouquet of deep-red roses with white stephanotis. 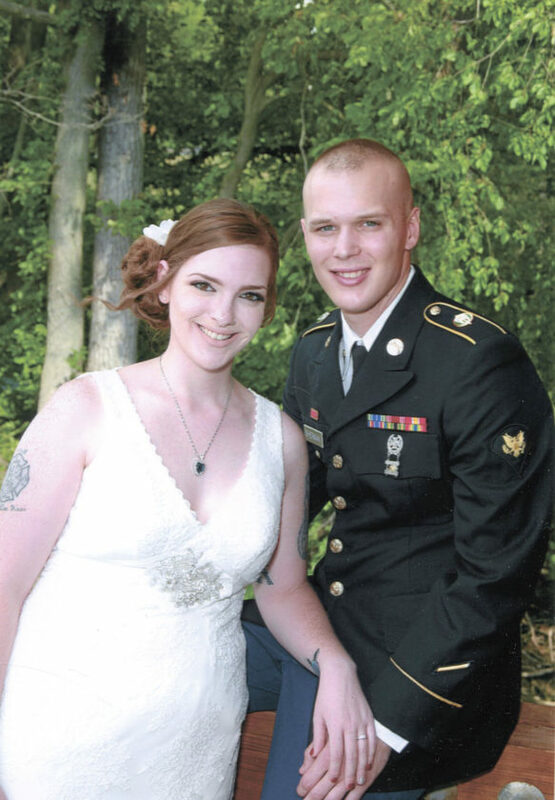 The groom wore his U.S. Army service uniform in full dress blues. 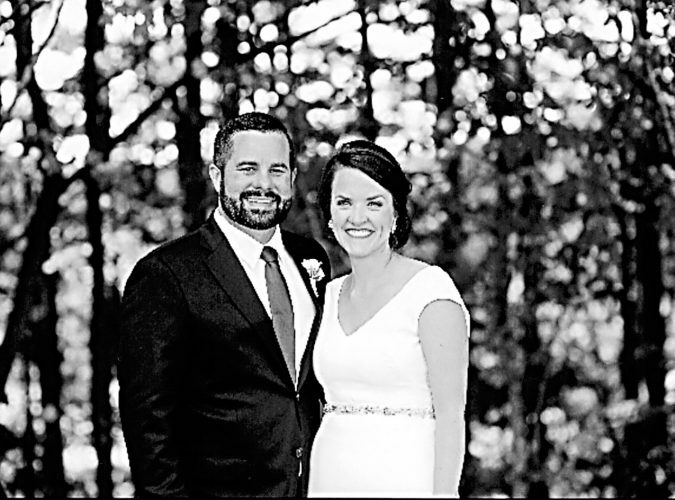 The maid of honor wore a strapless, knee-length dress with floral lace overlay in mystic. Bridesmaids wore strapless, knee-length dresses with floral lace overlay on their bodices and solid colored skirts, all in apple. Maid of honor was Mandy Kear of Harpster, sister of the bride. Bridesmaids were Mary Bucher of Marion, friend of the bride; Brooke Bennett of Bowling Green, friend of the bride; and Caitlin Long of Upper Sandusky, friend of the bride. The flower girl was Jayne Blackburn of Upper Sandusky, cousin of the bride. 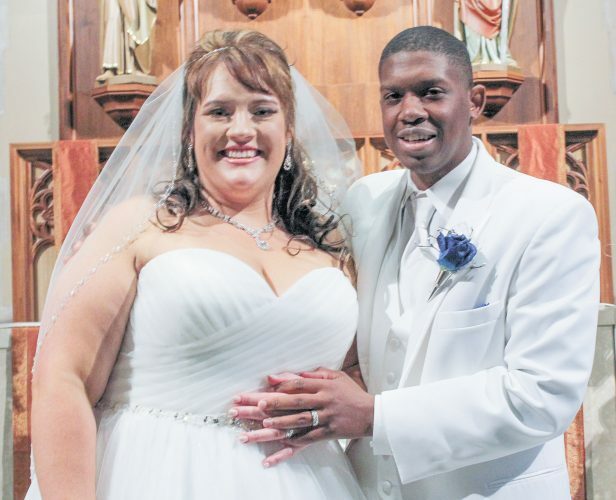 Best man was Kaleb Ward of McCutchenville, friend of groom. Groomsmen included Andrew Chowning of Louisville, Kentucky, and Micah Chowning of Jefferson, Indiana, both cousins of the groom. 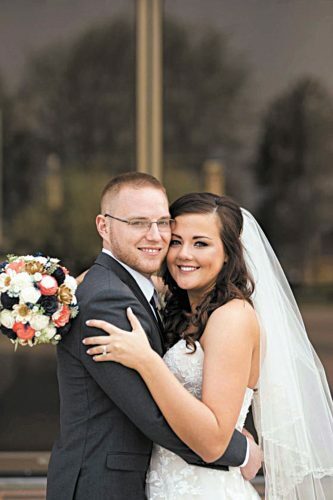 The bride, a 2012 graduate of Upper Sandusky High School, is a student at Bowling Green State University, pursuing a bachelor’s degree in criminal justice. 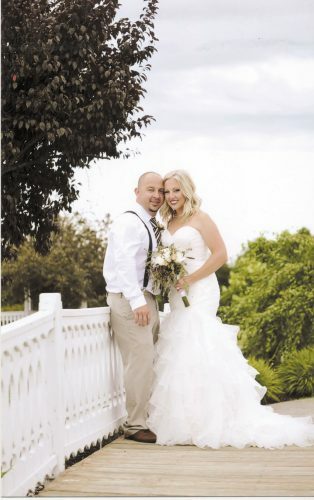 The groom, a 2010 graduate of Columbian High School, is a military police officer for the U.S. Army. The couple will reside in Schofield Barracks, Hawaii, with the bride joining the groom after her December graduation. Their honeymoon trip was to Louisville, Kentucky, and Nashville, Tennessee.